Your payment was successfully completed. You will receive confirmation by email. If you do not see your confirmation please email us at info@vkoc.net and we will gladly help you. When using GPS navigation we recommend GoogleMaps. The island has non-standard numbering causing addresses to be redirected incorrectly. 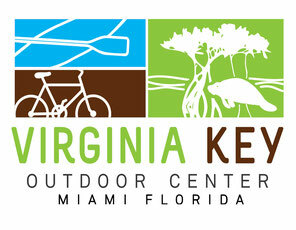 Please search for us by name Virginia Key Outdoor Center for best directions or use the directions on our page. If you are a rental customer or registered for a class your park admission is free. Please show your reservation confirmation at the entrance gate. Regular rates are $6 mid-week, $8 on weekends and holidays. Again, if your are renting or taking lessons your admission is included. Learn more our services and offers. Visit our home page to expand your adventures. For weather updates, give us a call. We are often sunny when it rains out west. Thank you for choosing VKOC for your outdoor adventure. We look forward to seeing at the park.